Stay in Near Sawrey - the home of Beatrix Potter. 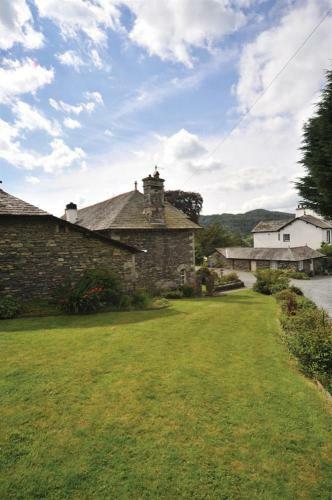 Self catering 3 bedroom traditional Lakeland Cottage accommodation near Hawkshead.Free Wifi. 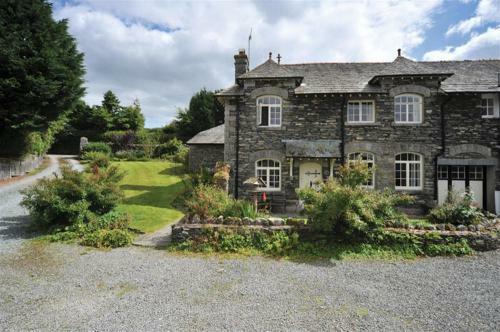 Ees Wyke Cottage is situated in the picturesque and quiet conservation village of Near Sawrey, famous as the home of Beatrix Potter, right in the heart of the Lake District. Whilst in the centre of the tourist trails, Ees Wyke Cottage is in a quiet and secluded hamlet within the grounds of Ees Wyke Country House and is a place where you can truly get away from it all. A picture postcard traditional Lakeland stone cottage - this was once a coachman’s cottage and stables. 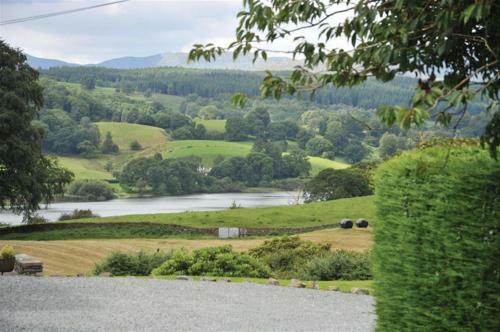 It now provides an idyllic getaway with views overlooking Esthwaite Water and the surrounding mountains. 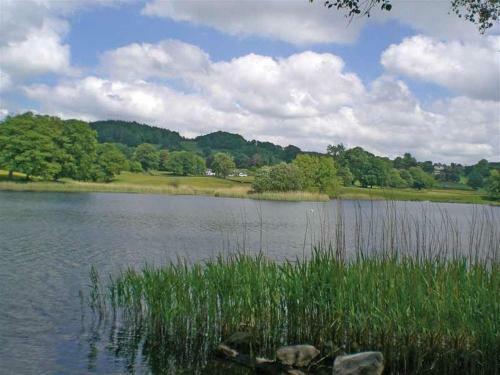 Ees Wyke is named after the lake and sits happily between Esthwaite and Lake Windermere in a perfect walker’s paradise. 3 minutes walk away is the wonderful Tower Bank Arms, which offers a warm welcome, real log fires and serves locally brewed real ales and traditional Cumbrian food. Hawkshead village with its narrow cobbled and whitewashed streets and wide variety of pretty shops, restaurants and pubs is only a mile and a half away. The ferry across Lake Windermere to the bustling towns of Bowness and Windermere is a mere 2 miles in the other direction. The tourist and walker centres of Ambleside, Coniston, Grizedale forest, Langdale and Grasmere are all within 15 minutes drive. A private driveway into the Ees Wyke Country House grounds leads you to a picturesque stable courtyard and it is from here that you get your first glimpse of the wonderful views. These views of Esthwaite and the Langdale Pikes are shared in the house and from the delightful gardens – a place for al-fresco living. The gardens are set out to the front and side of the house. Step inside this character property to soak up the space and light. This is somewhere to escape to relax and spend time together. The accommodation briefly comprises of a traditional open porch entering into a large well equipped open plan kitchen/dining room with lake views and a feature gas stove. A very large lounge is sumptuously furnished, with another gas stove fireplace and enjoys mountain views. Upstairs to 3 pretty double bedrooms all with lake views. The master bedroom has an en-suite bathroom to complement the house shower room. There is oil fired central heating throughout. There is parking for 2 cars outside and the use of a garage equipped with fridge freezer. The property also has a bike store. Well behaved dogs are welcome. We can offer negotiable discounts for regular visitors.